This game is brought to the market by Microgaming who portray themselves as being in the forefront of the iGaming industry. They have collaborated with Slingshot studios so there is additional input here too, this is good because allowing smaller developers to get their name and talent noticed. 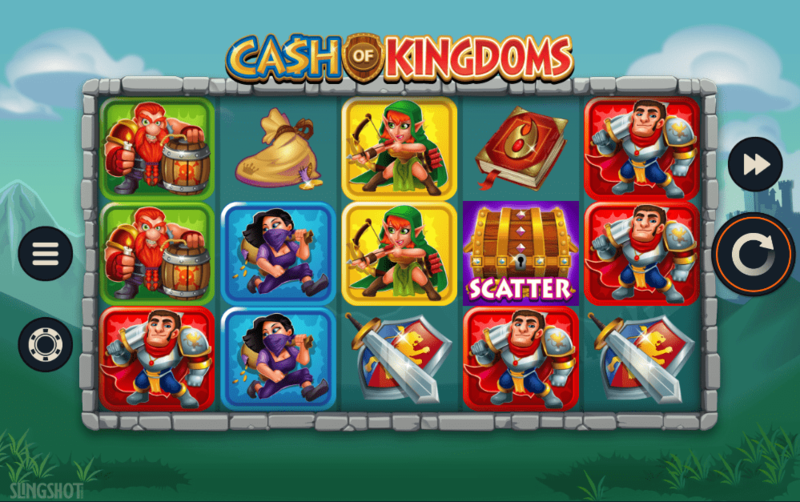 The theming is Cash of Kingdoms holds much value in the marketplace through high-quality graphics that keep players involved in an engaging and well developed (both in process and graphics) story, whilst playing online. The fantasy theme is based in the medieval ages so be prepared to be taken back in time. There are 15 pay lines in this game. Head to Wizard for more. Microgaming is highly sought after in the gaming industry, they began their success story in 1994 when they launched their first online casino. Since then they have worked to excel with high-quality graphics and gaming features as well as innovative themes. They have been reported to pay out more than 100 million dollars in the past ten years (in progressive jackpots alone)! Their collection of online games include traditional casino favourites such as blackjack. It’s their online slot games that they specialise in through and they operate in over 120 online casinos! Learn more about slot games to try today at Wizard Slots! The symbols hold strong artistic features. For example, the five lowest valued symbols include loot, kegs of powder, bow and arrows, books and shields. The higher paying symbols pour in as a mixture of people. These come in the forms of rogues, archers, mages and strong knights. The knight will award players with a 10 times stake pay-out if they charge out 5-fold across the pay line. It's really tempting to start playing right now, but we recommend to check some more of the best video slot games from our guide. When a full stack of wilds appears on reels 2 or 4, the Invading Wilds feature is triggered in the form of reel wilds. 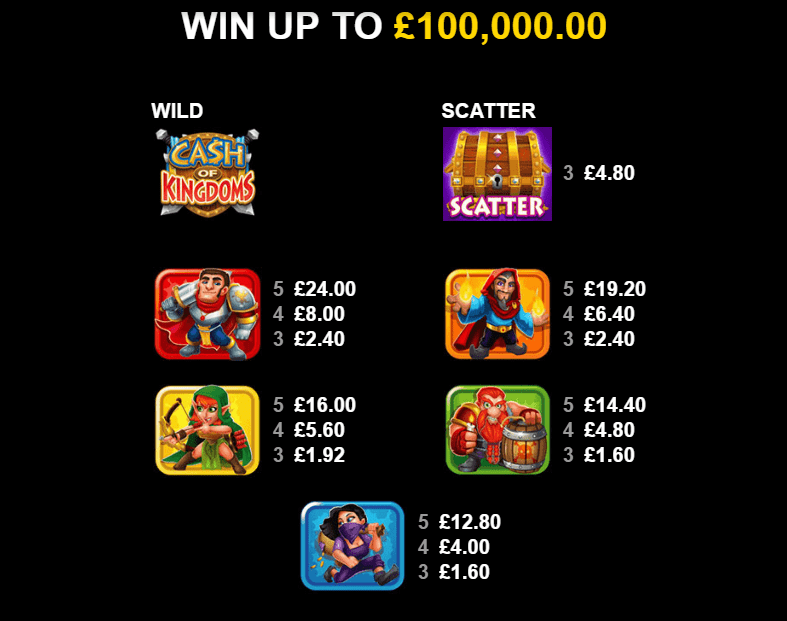 Three Scatter symbols on reels 2, 3 and 4 will initially give players a bonus of ten free spins. There is more up for grabs though because, during the free spin features, a scatter symbol will give an additional free spin. The free spins are definitely worth keeping an eye out for because stacked wild reels will appear more than they would on a usual spin. If these appear on reels 2 and 4, reel 3 will be intruded by the wild symbol which allows a 2x multiplier to be applied to the total win! Despite being well developed in its theme, this online slot game is easy to play due to its simplistic pay table. Basically, just notice playouts that are clearly displayed in cash value! The game is relatively low variance but worth a play for its entertaining element. That said, there are some negative reviews out there. This is mainly due to the low playouts available. I guess it depends what you are looking for in an online slot game, it seems that this slot is most popular with those merely playing for the fun of it or newcomers who want to verify their understanding of an online slot game without being bored through the lack of a theme. If you like Cash Of Kingdoms, why not try Beautiful Bones?